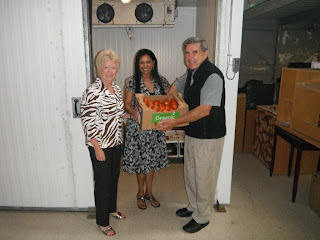 Visitors to the Surrey location of the Quest Food Exchange will have better choices in fresh produce thanks to a $10,000 donation from the First West Foundation that helped Quest purchase a used walk-in cooler and freezer. The addition of this amenity will allow Quest to collect and store more perishable items on site, so that donations last longer and our clients will benefit from having fresher items to choose from. Quest was pleased to have the opportunity to show representatives from the First West Foundation the walk-in cooler and freezer in August. 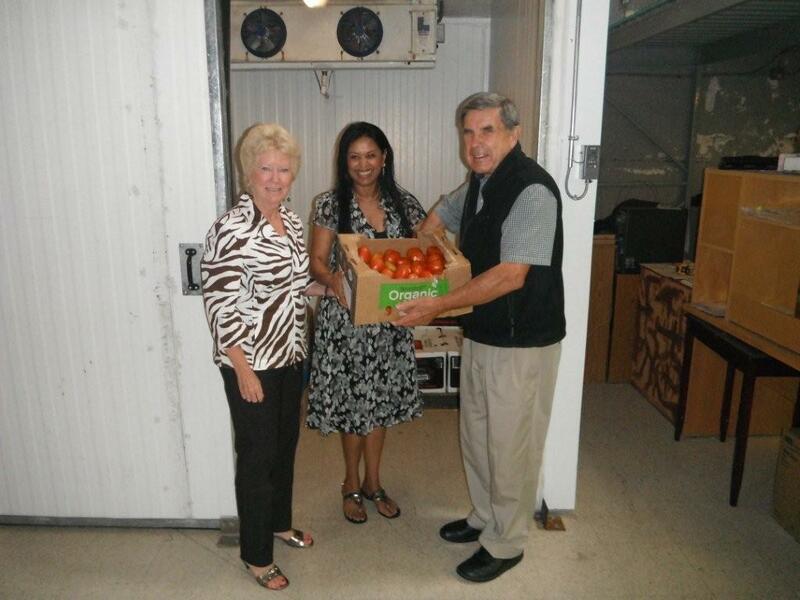 Ms. Kutan was joined by board members Lois Wilkinson and Peter Podovinikoff who were both impressed by Quest’s food exchange model, which not only addresses reducing hunger with dignity, but also offers important volunteer opportunities while fostering environmental sustainability. “Quest fits perfectly within our funding mandate to provide much-needed support to community organizations that are working diligently to lend a helping hand to people living in our communities”, states Mr. Podovinikoff. The First West Foundation (previously named Envision Credit Union Charitable Foundation) was established in 1996 by the management and Board of Directors of First West Credit Union. Its purpose is to support initiatives that enhance the quality of life in our communities and to create capital for sustainable community support by encouraging philanthropy. Since inception, the Foundation has proudly distributed over $1.6 million in grants to charities. For more information about the Envision Credit Union or the First West Foundation visit their websites at www.envisionfinancial.ca or http://firstwestfoundation.ca respectively.